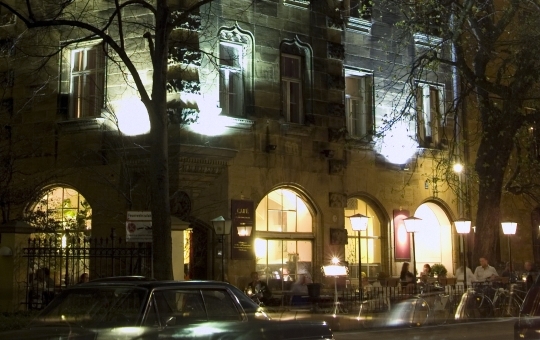 The Hotel Mariandl and Café am Beethovenplatz are both located in a listed house, situated in a well shaded avenue. Do not expect flat screen TVs, luscious carpeting or even an elevator. As if these should be standard in a protected Belle Époque hotel built over 100 years ago! There is not even a conventional lobby area. Check in takes place at the mahogany bar of the Café am Beethovenplatz. 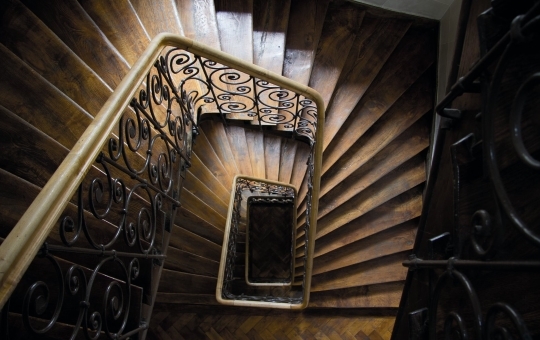 From there one ascends the original and slightly worn oak staircase. On the floors above you will discover antiques, a 100 year old parquet floor, marble, stucco ceilings and crystal chandeliers. 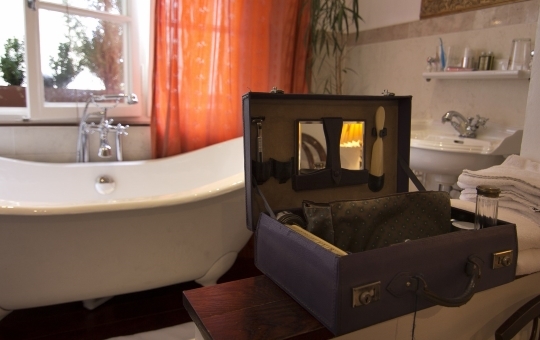 Most rooms are equipped with bathroom and WC, some with free-standing bathtubs. The few rooms without bath/WC can be hired at a cheaper rate. In the morning your breakfast buffet awaits you in the café on the ground floor. 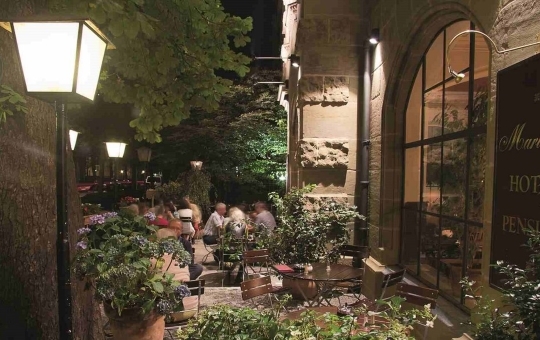 Surrounded by university buildings and Art Nouveau residences, the café too has retained its original style. It could easily serve as the setting for a film about Munich’s bohemian society of the 1900s. Artists, writers, musicians, architects, students and professors gather at the tables. Above them is a high red and white coffer ceiling and opulent crystal chandeliers which bathe the guests in the light of earlier times. Musicians play on a daily basis in an unobtrusively dignified manner. The varied wine card reflects the joie de vivre of the Belle Époque, and with it, the joy of indulgence and extravagance in an otherwise rather forgotten Munich coffee house scene. Cocktails and champagne at the bar or a stylishly prepared breakfast on a Sunday morning? It’s for you to decide how you spend one of the highlights of your stay in Munich, in the Café am Beethovenplatz.